Let's talk about lips. 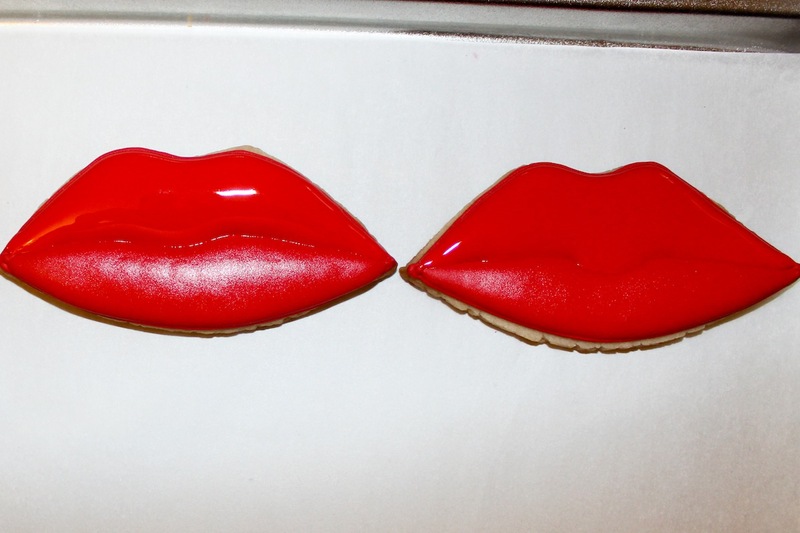 I love red lips. Maybe my love for red lips started when I first saw The Rocky Horror Picture show, but every since I was a teenager I always wanted to wear red lipstick. Of course, my mother would NEVER allow red lipstick. No way, no how. Wasn't gonna happen. Didn't stop me from wanting to decorate my room with red lips or buy every shirt that had a pair of lips on it......hey I grew up in the 80's, we wore weird stuff. I fell in love with this red lip sofa when I was in Paris. I had no way of getting it home at the time, or it would have been mine. Should have strapped it to the top of the car! 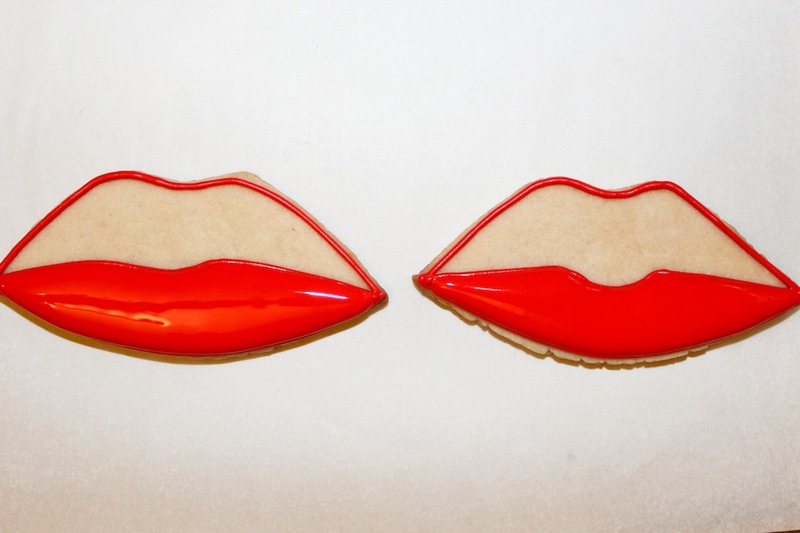 Well I don't own a lip sofa, but I do have some lip cookies. 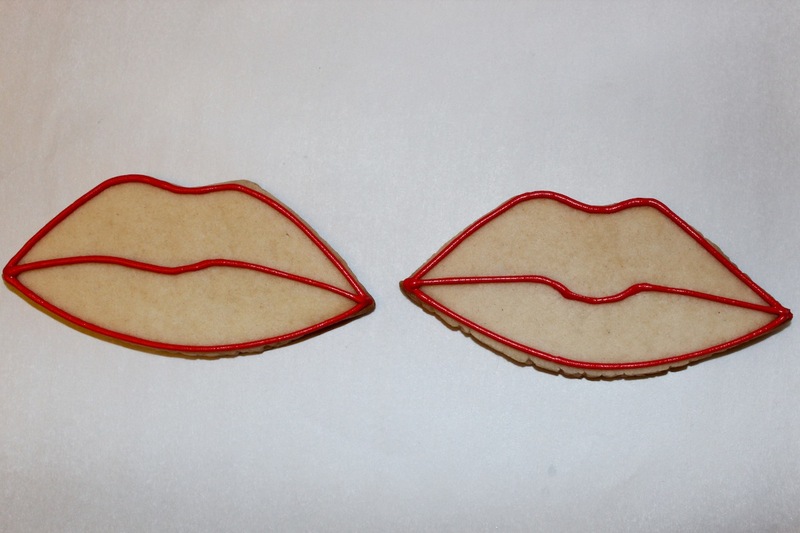 I didn't have a lip cookie cutter, I know hard to believe. I didn't let that stop me. I just made my own template with stencil paper and cut it out by hand. These cookies are so easy. The hardest thing is the drying time in between sections. 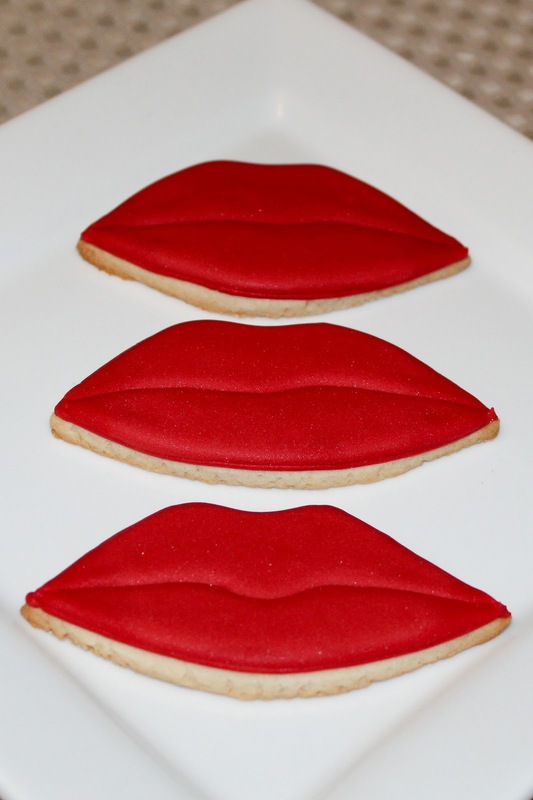 Start with lip shaped sugar cookies. If you need a good recipe you can try my cookie recipe. 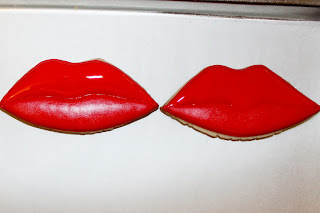 With red royal icing and a #2 tip outline the lips. The center line does NOT have to be perfect. This will make them look more realistic. Work in sections. First fill in the bottom section with red 20 second royal icing. Allow to dry for several hours. After the first section has dried a while, fill top section in. Allow to dry overnight. 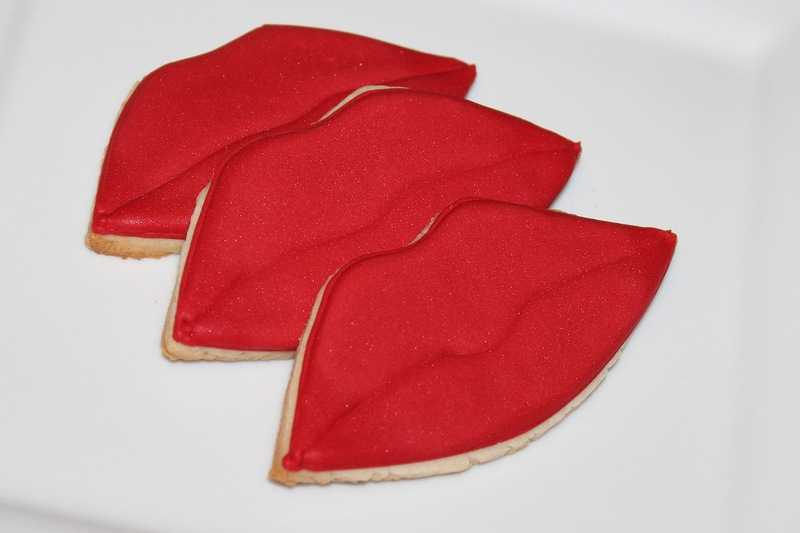 There you have it.......some red lips for Valentine's day! These are great, especially that you hand-cut them all. 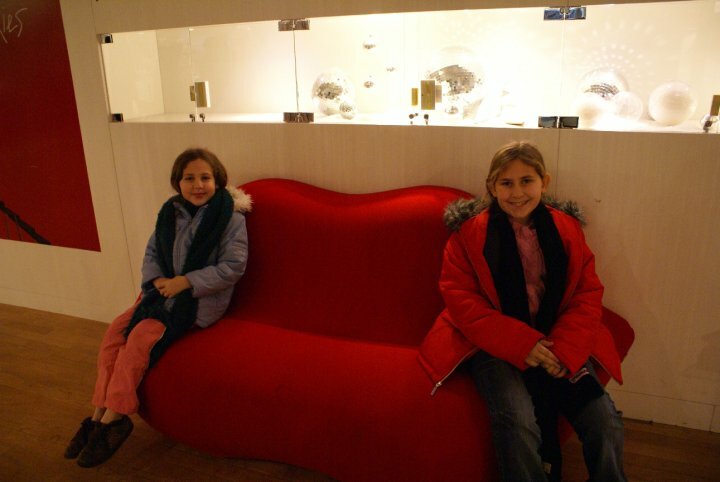 The red colour is fabulous. 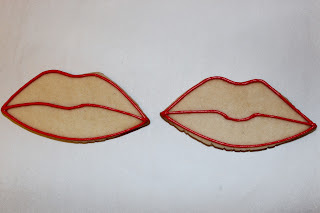 so cute, I hate hand cutting cookies, I always end up with these weird shapes, not at all what I intended. I love Rocky! *sigh* These lips totally remind me of the movie, and your Rocky cookie post...die! Aw. Mine did not come out this shiny and pretty.